Initial claims for unemployment benefits rose for the second time in three weeks last week, signaling that layoffs are rising. The Labor Department said Thursday that new claims for jobless benefits jumped by 13,000 to a seasonally adjusted 472,000. Analysts expected a small drop, according to a survey by Thomson Reuters. Greater layoffs by construction firms contributed to the increase, a Labor Department analyst said, as home sales and construction slumped in May after the expiration of a popular homebuyer tax credit. Summer layoffs in many school districts also added to the total, he said. The four-week average, which smooths fluctuations, rose by 3,250 to 466,500, its highest level since March. The rise in layoffs comes as Congress remains at an impasse over extending federal unemployment benefits to those who exhaust their state benefits. More than a million have already been cut off. Millions more stand to lose their benefits later this month if lawmakers don't pass an extension. Claims have remained stuck above 450,000 since the beginning of the year. 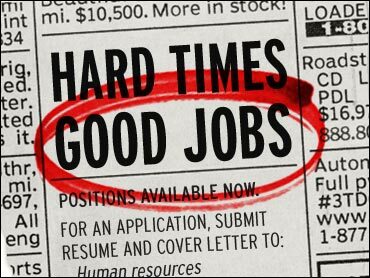 That has heightened concerns among economists that jobs remain scarce even as the economy has begun to recover from the worst recession since the 1930s. The figures come a day before the Labor Department is scheduled to release the June jobs report. That is expected to show a modest rebound in private-sector hiring. Overall, employers are expected to cut a net total of 110,000 positions, but that includes the loss of about 240,000 temporary census jobs. Private employers are projected to add 112,000 jobs, according to a survey of economists by Thomson Reuters. That would be an improvement from May, when businesses added only 41,000 workers. But the economy needs to generate at least 100,000 net new jobs per month to keep up with population growth, and probably twice that number to bring down the jobless rate. The unemployment rate is expected to edge up to 9.8 percent from 9.7 percent in May. The total number of people continuing to claim benefits rose by 43,000 to 4.6 million, the department said. But the number of people collecting extended benefits fell by 376,000, as Republican lawmakers have refused to continue the extra aid. About 4.9 million people continue to collect emergency aid. During the recession, Congress added up to 73 weeks of extra benefits on top of the 26 weeks typically provided by states. But those extensions expired in late May. So far, about 1.3 million people have lost unemployment insurance as a result, according to the Labor Department. That figure is expected to grow to about 3.3 million by the end of this month. Democrats in the House and Senate are seeking to renew the extended benefits and continue them through November. But Republicans have objected, citing deficit concerns. They want the $34 billion cost of the bill to be paid for with funds remaining from last year's stimulus package. Democrats argue that it is emergency spending and should be added to the deficit.